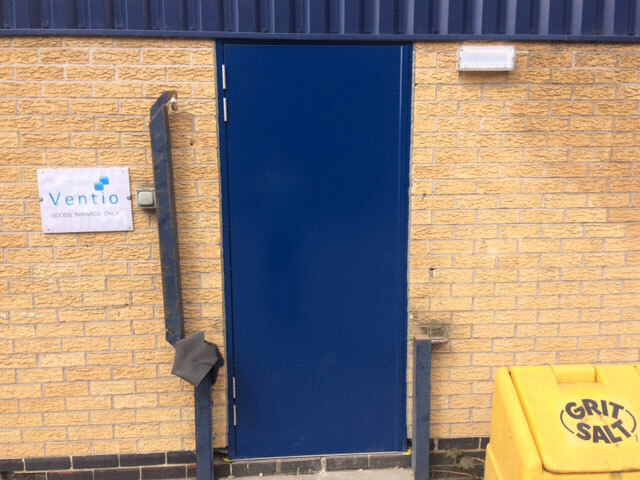 This example showcases before and after pictures of a contract fitted in Derbyshire where the client was seeking to enhance the appearance of the building by matching the roller shutter door colour to that of the existing cladding. 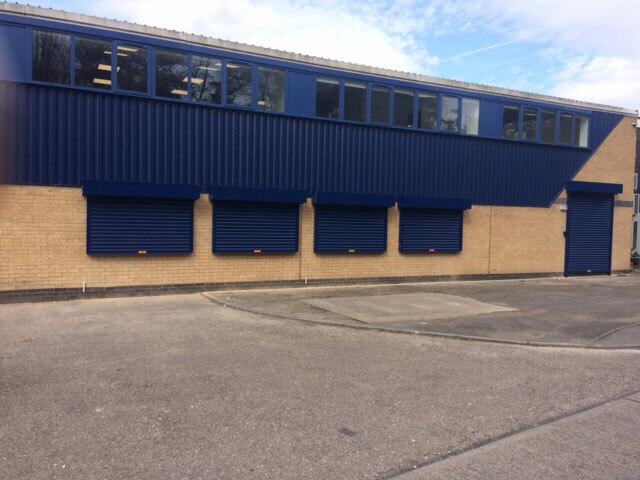 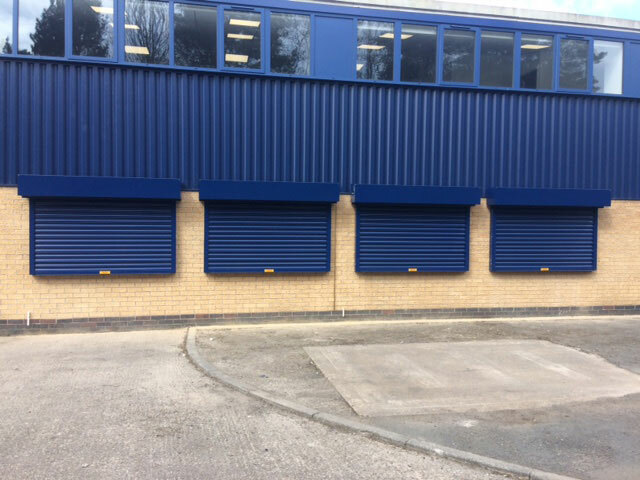 We fitted 5 electrically operated security roller shutter doors, 4 security window roller shutter doors and 1 entrance roller shutter with a single steel fire exit doorset all matching in the same blue powder coated finish to tie in with the profile cladding. 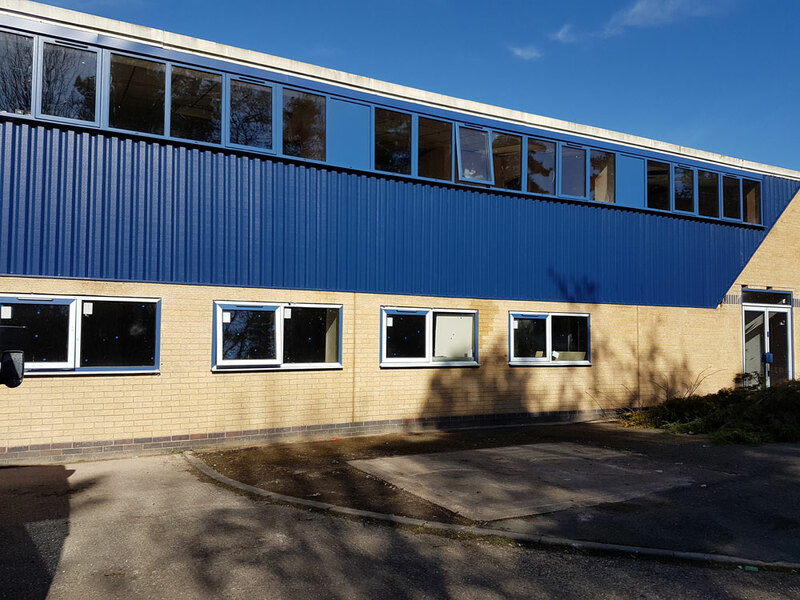 The result is a secure, practical attractive building.